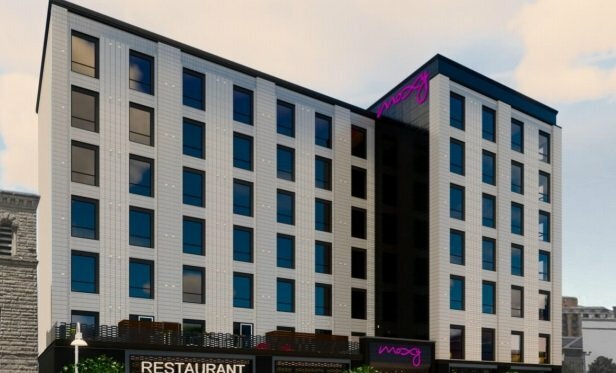 Marriott International’s new Moxy hotel is slated to open in 2021, consists of 173 rooms and targets Millennial travelers who are increasingly drawn to Uptown, Oakland’s energetic urban environment. The Moxy will be one of the first new hotel developments in downtown Oakland in many years. OAKLAND, CA—In what is one of the first new hotel developments in downtown Oakland in many years, Marriott International’s new Moxy hotel is planned for a prime location in the Uptown neighborhood. The hotel, which is slated to open in 2021, consists of 173 rooms and targets Millennial travelers who are increasingly drawn to this energetic urban environment.